Russell has been a broadcast professional for 25 years, having hosted radio shows nationally and regionally from coast to coast. He has conducted over 10,000 interviews during that time with a diversity of political leaders, international figures and the people next door. Noted for his conversational style, he often asks the unexpected question causing both the guest and the audience to think about the answer. 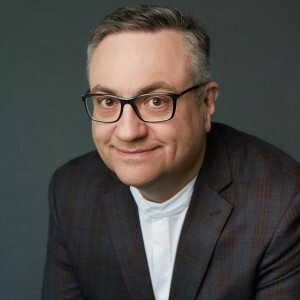 His work as a writer/broadcaster, comedy performer, producer and news reporter has appeared on CBC shows like The Current, Irrelevant Show, Sunday Edition and The 180. In addition to his radio work, he's been a print columnist, a videographer, speech-writer, publicist, and university instructor - adding award-winning credits as an actor and record producer, rounding out a very eclectic career. Russell has also given his time to charity efforts and has been involved in raising over $500,000 for a variety of national and local relief projects including the Red Cross, Spread the Net and the Leukaemia & Lymphoma Society of Canada.